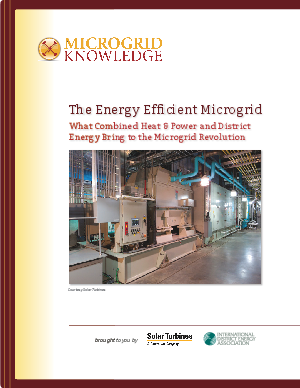 This Special Report from the editors of Microgrid Knowledge, paints a picture of the emerging microgrid-driven world, with CHP at its core. What exactly is CHP? If you’re not familiar with it-or only vaguely aware-you’re not alone. Its reputation remains under the radar screen, especially compared with solar and wind energy. Yet CHP is a far more proven form of distributed energy that goes back to Thomas Edison’s day and can be found in cities and at hospitals, colleges, hotels, petrochemical facilities, manufacturing companies and many other sites where large amounts of energy are consumed. For a long time CHP seemed like the best-kept-secret of energy insiders. That’s begun to change asgovernment leaders push for more CHP-from mayors to the highest offices. In fact, President Barack Obama has set a goal for the U.S. to add 40 GW of CHP by 2020.